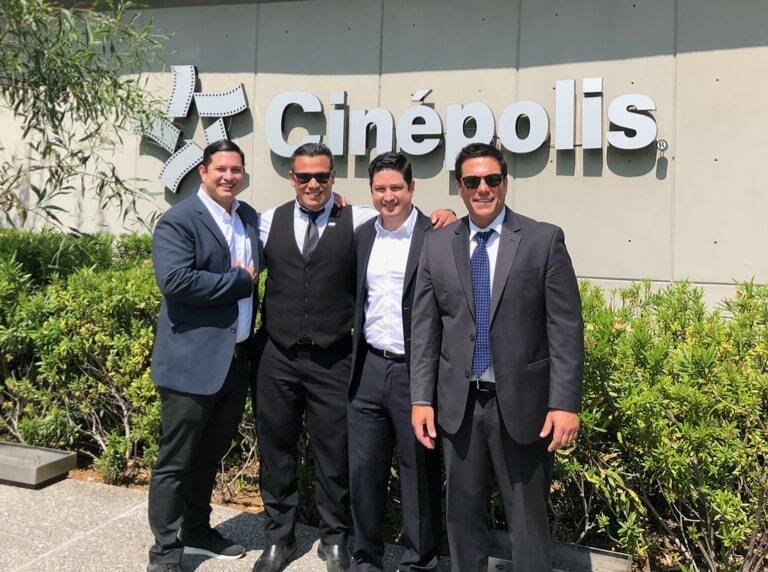 Miami, Florida (November 5, 2018) – Cinépolis, the fourth largest movie theater circuit in the world, and #1 in Mexico and Latin America, has selected CIELO as its provider of choice for digital management, monitoring and support of the entire Cinépolis circuit across the world. CIELO is joining forces with CES+, who has a longstanding business alliance with Cinépolis, and will act as the integrator channel partner and primary manager of the account. CIELO’s cutting-edge technology will be deployed throughout Cinépolis’ global circuit of 691 locations and 5,609 screens worldwide, as well as any new screens or upcoming locations that Cinépolis opens or acquires in the coming years. This partnership marks a milestone in CIELO’s history as it is the largest implementation for the company to date and the first to span across all continents. After months of trials and testing, Cinépolis chose CIELO not only for its seamless digital experience but also for its ability to deliver high-efficiency and greater cost-savings, resulting in substantial operational costs in saved shows, on-site tech times and resource optimization with an estimated ROI for Cinépolis of 11 times the cost of employing CIELO. CIELO revolutionized the movie industry when it launched in 2015, marking a turning point in theater operations as exhibitors joined the Internet of Things (IoT) era. Cinépolis was founded in Mexico in 1971. Today it has positioned itself as the world’s 2nd largest movie theater circuit in terms of moviegoers, operating 691 cinema complexes, 5,609 screens and entertaining over 338 million moviegoers annually with presence in 17 countries worldwide. It was the first cinema exhibitor in the world to pioneer the concept of luxury movie theaters, establishing the first luxury theater experience in 1999 in Mexico City. Cinépolis aspires to provide its guests with the best overall experience in film entertainment and employs a global workforce of more than 39,185 people to support its mission.